Shopping for a tween boy has you stumped? Everyday Savvy has chosen out some unique, top holiday gifts that your boys will rave about. We included a few electronic items, but there is so much more for your boys to explore here and you will love our tween boy gift ideas. We have several other gift idea lists for tween boys, so if you need more ideas, check them out! I love finding really unique stocking stuffers that are both useful and fun. Instead of choosing items from the dollar store or dollar section, I like to buy a few nicer stuffers and then add things like candy, soaps, socks and other useful items to fill those stockings. Tween boys can be really hard to shop for, so we are here to help with our list of unique stocking stuffers for tween boys. If you want to save this cool list of ideas for later, press the “pin-it” button to save it to your Pinterest boards. I have changed my strategy as far as shopping for kids stocking stuffers over the years. These days, I try and buy a few nicer stuffers that they will really use or enjoy, plus tuck in some chocolate rather than hit the dollar store. I find that I end up tossing most of the dollar store items later. I even like to fill my kids’ stockings with toothbrushes, undies and socks too. 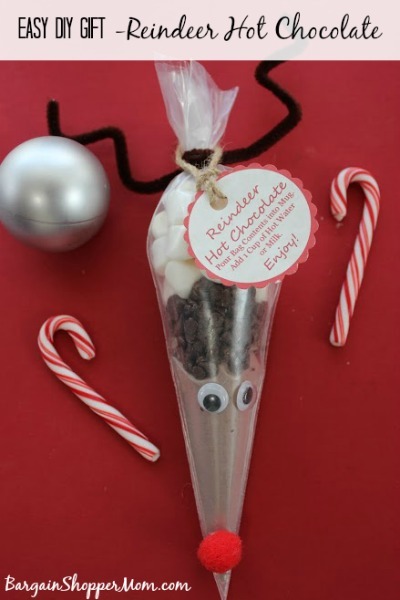 If you need stocking stuffer ideas for kids, check out our list of fun stocking stuffer ideas for girls. I love finding neat stocking stuffers for my kids like fun games, small toys they will enjoy or small books to read. I try to buy them just a few quality items that will last instead of dollar items that will all get tossed. We have some great ideas for some cool stocking stuffers for boys that you won’t want to miss. To save this cool list for later, press the “pin-it” button at the top of the page to save it to your Pinterest boards. We have more great boys stocking stuffer lists on our Ultimate Gift Buying Page. There are lots of fun and unique gift ideas for young girls this year. We added a few of the more “popular” toys to our gift list for young girls, but we also included lots of quality toys that they will love. When my daughter was this age, I used to pick out a few things from her wish list and then surprise her with something I knew she would like. Often, it was something she had never seen, but she was always thrilled! There are lots of neat new things for young boys this year. If you are struggling for unique gift ideas, we have some of the standard “hottest toys” on our list, along with so many other things. We have a few video game-related items, but there are many other neat things that will keep your young boys exploring. Need more gift ideas, check out the ultimate guide of gift ideas here. Finding quality stocking stuffers can be a challenge. I am all for filling those stockings with fun and useful items. If you have women or teen stockings to fill, you will want to check out all of the cool items we have found. A lot of these items would be nice small gifts as well. To save this fun list for later, press the “pin-it” button at the top of the page to save it to your Pinterest boards. If you are looking for fun or unique girl gifts, check out our gift list for toddler girls. Several of these are educational and help with skills-building like colors, matching and counting. Many of these toys your toddler girls can grow into and enjoy for several years. When my daughter was this age, her favorite toys were for pretend play. She loved anything that had to do with cooking, baking or playing in her kitchen. There are so many adorable options for unique girl gifts. Right now, I have younger kids at home who still believe in Santa so my teen still needs to get stocking stuffers too. It can be a challenge to find useful and fun stuffers that your teen will love. This list contains some really cool things for teenage girls. You can mix and match a few of these cute things with candy or other treats. These stocking stuffer items also make great affordable small gift ideas for teenage girls. I love these idea for gift exchanges with your teen’s closest friends. To save this list for later, press the Pinterest button to save it to your Pinterest Boards. Be sure to check out all of our great gift ideas for teenage girls and join our EverydaySavvy Deals Group, to save money on great gifts for the whole family. We have more great gift ideas for Teenage Girls, so check out our ultimate list of gift buying ideas.